In a teaser for an upcoming 60 Minutes segment, Elon Musk told veteran CBS journalist Leslie Stahl: Weed? Who? Never heard of him. 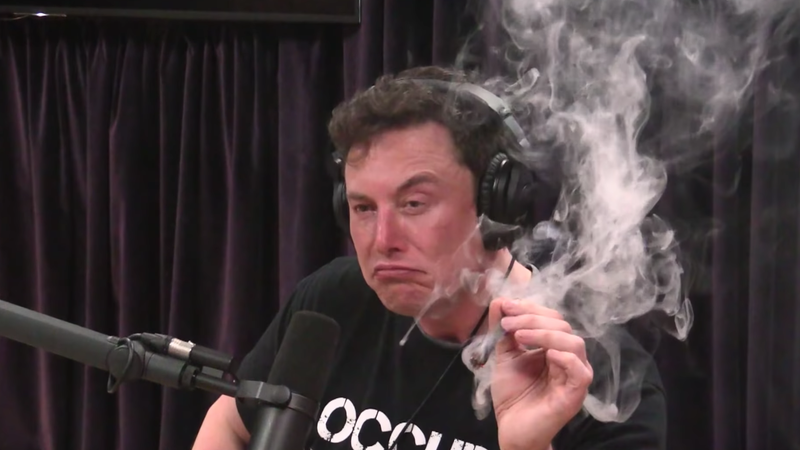 Is it possible the guy who is currently being investigated by NASA for smoking pot publicly, and who tweeted the only known weed joke to generate a fraud charge... knows absolutely nothing about weed? I’m not especially interested in passing judgement on anyone’s drug habits or lack thereof, Musk included. But I believe him that he truly is clueless when it comes to smoking pot—which makes it that much sadder he lost $20 million and the chairmanship of his electric car company over it. The full interview will air on Sunday to the over-65 demographic, where he probably won’t say anything else interesting but countless grandkids across the nation will be forced to explain over the holidays who “Elam Monk” is.